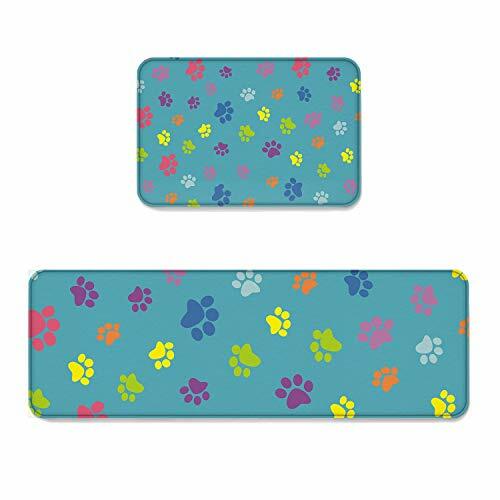 Beauty Decor 2 Piece Non-Slip Kitchen Mat Runner Rug Set Animal Doormat Area Rugs Dog Paw Prints 19.7''x31.5''+19.7''x63'' by Beauty Decor at Animal Backgrounds. MPN: CXC20180920-BDMTSETSLXM00548MDECBDR. Hurry! Limited time offer. Offer valid only while supplies last. Why Choose Beauty Decor Door Mat/ Kitchen Mat set / Bath mat Set? 1.The durable surface is waterproof, stain resistant and easy to clean. 2.